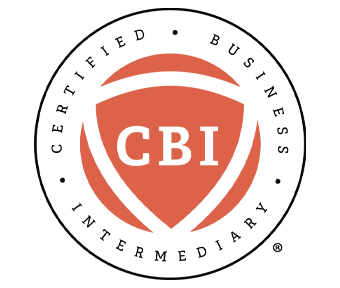 While there is no “right” order in which to fulfill the requirements to become a Certified Business Intermediary (CBI) the IBBA recommends taking the following steps once you meet the necessary experience requirements and decide to pursue your CBI designation. Step 1: Join the IBBA (or make sure your membership is up-to-date). Step 2: Enroll in IBBA University online courses. Course #101, #104 and #100 are all offered online and are part of the required CBI educational courses. You can also complete additional online courses towards the elective CBI course requirements. You can complete the online courses anytime, twenty-four hours a day, seven days a week! Step 3: Attend an IBBA Educational Summit to complete courses #210, #220 and #221. These courses are not offered online or at conferences, so make sure you know when the next Educational Summit is being offered by checking the Summit Calendar. Also, remember that course #210 has a prerequisite! You must pass the 210 pretest. It is also strongly suggested that you take Course 102. Course 102 is not a requirement. Both are available online at IBBA University. Step 4: Attend an IBBA conference. Attendance at a conference is a CBI requirement. At the conference you will need to register and complete courses to fulfill any of the 16 elective credit hours that you have left to complete per CBI requirements. Step 5: Once all elective and required coursework is complete, submit your CBI Exam Application, and pay the required fee. Your exam application must be submitted and approved before you can sit for the CBI exam! Step 6: Take the CBI Exam. Once your application is approved, IBBA Staff will schedule your CBI exam at a testing center near you. Step 7: Submit three deals as the lead seller broker on 3 going concern business transactions using the Initial Certification Submittal Form. Step 8: Once all requirements are met, including passing the CBI exam, submit your CBI application. Most CBI applicants can complete these requirements within one year, assuming they have met the CBI experience requirements; if you really focus and can travel, you can get the coursework completed within several months. All IBBA courses (other than the required courses) count as an elective course. CBI exam review materials are available and a recorded review webinar with subject matter experts is offered to anyone approved to sit for the exam. The CBI exam ascertains competency in concepts deemed to be general business brokerage knowledge, and not exclusively the content contained within the CBI required courses. Any questions? Just send an email to [email protected] and we will assist you in any way we can.